Attention Mike Kobylik: Having owned my Pa24-260 since 2001, I have always been impressed with its performance and efficiency. Then along came ElectroAir Electronic Ignition Systems. 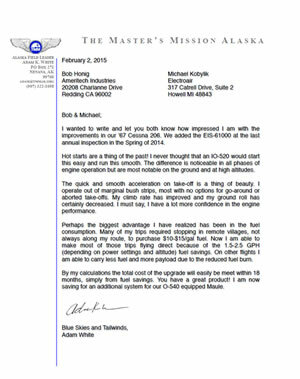 Since installing the ElectroAir (EIS-61000 MTH) system in September, 2016, I have seen about 1-2 gph improved fuel efficiency, and about 3 KTAS faster cruise, whether at LOP, Peak-EGT, or ROP ops, especially at altitudes above 10,500 msl. Unfortunately, about 1-year into my EIS experience, I began noticing decreased performance, with asymmetric failing in flight Mag-checks. After lots of calls and troubleshooting with EIS’ help, a poorly functioning coil within the coil-pack and a poorly crimped and almost broken 12v lead inside the coil-pack cannon plug were discovered. Mike at EIS quickly replaced under Warranty the coil-pack, new Cannon Plug, and reimbursement for my A&P’s rewiring and repair of the broken lead. The EIS performance now is even better than ever. 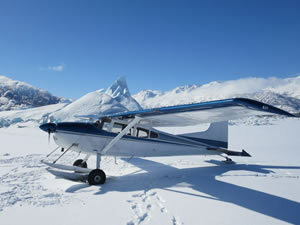 Winter flying temps help, but at 10,500 msl, I am now attaining for the first time ever, 70% power at peak EGT operations. At 16,500 msl and with only 45% power, I am burning 8.5 gph and still cruising at 160 KTAS, the same cruise speed I see at 11,500 msl with 60% power at 10.6 gph – Thank you EIS. Thank you, ran system on the ground for the first time yesterday, powerful start and smooth idle of cold engine, much different from mag, warmed engine up to about 160 F oil temperature, looks like idle will have to dropped by about 50 RPM due to increased ignition performance, absolutely awesome!! I want to report my first impressions from my flights. Today FL 140, TAS180, 15gph, absolutely smooth engine running, performed a LOP Ignition Check - Marvelous smooth. Climb from sea-level to FL130 with 1000fpm. On ground very smooth at 800rpm, totally new engine feeling. I am very happy with this outcome and have a unique and powerful SR22. 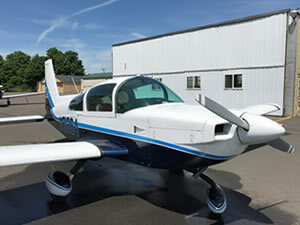 We just wanted to follow up with you and THANK you for connecting us to Jim Candeletti of Mid Atlantic Yankee Aviation. Jim did a beautiful job on the Electronic Ignition installation. The plane is running great and we think the difference is very noticeable, especially on starting and at altitude. 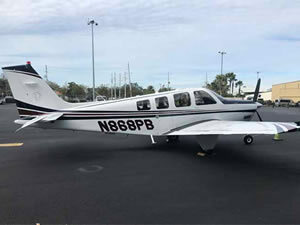 It's normal now for the engine to start on the first turn of the prop and the engine (which has always run well) now runs even more smoothly (good name, smooth power LLC!). The operating ceiling of the plane per the POH is 13,800. The other day we climbed through 14,000 and was still climbing at 300+ fpm. We stopped only because we were feeling the lack of oxygen, not 81364! We are very beholden to you for the introduction, you can certainly be confident in recommending Jim to any customers looking for an ElectroAir install in the NJ area. We really can't say enough good things about him, communication was great, the quality of his work was just first class in every instance. Rich B. and Joe P.
"Thus far I'm suitably impressed with the performance of the EIS system. I don't have a lot of time with the new system as yet but I have noted a reduced fuel consumption and a slight increase of speed at altitude. 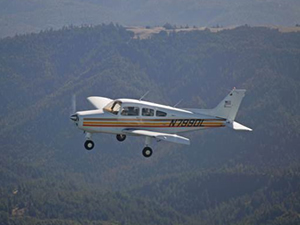 I fly in the 7500 to 9500 altitude for most of my cross country flights and there's been a 3-5mph increase with a fuel burn savings of about 10%. I guess one just can't ask for much better. Faster on less Fuel, a win, win!" with cowl flaps one notch past halfway, I get 153-155 KTAS. (fuel burn is under 13 GPH. With the electronic ignition, my 182 is very fast, and fuel consumption seems very good. I don't have a fuel flow meter and have to rely on the amount of fuel put in to top it off each time. Not the most accurate method, but that is all I have until I get a fuel flow meter. 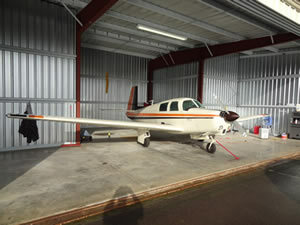 Ron S.
"I am very happy with the EIS system from Electro Air that Heritage Aero installed in my 1960 Piper Comanche 250. I picked up a solid 3 MPH starting at around 4,000 feet. The performance/economy boost are icing on the cake to the safety aspect of having less moving parts in the ignition system. 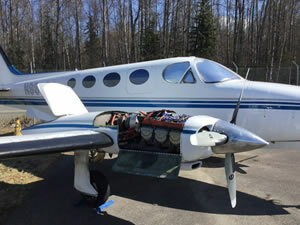 Very Happy"
"Mike, I had the Electroair electronic ignition kit installed in my Beech V35A-TC a few months ago, and I couldn't be happier with the system. After putting about 40 hours on the engine, I can report that I can run at a higher MP with a lower fuel flow and higher speed. I now run regularly at 28"MP, 2500rpm and 14.6 gph, and see between 175 and 180 kts at 10,000 to 12,000 feet, depending upon how the plane is loaded. 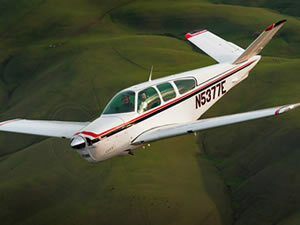 I am eager to fly into the mid to high teens to see how the plane performs. Interestingly, when I do my "mag check" I find that when I shut down the standard mag, I see very little RPM drop or EGT climb, which seems to indicate that the spark from the electronic ignition is much stronger than that from the magneto. Additionally, I am happy to report that Electroair's technical support is thorough and timely. Any time we had a question or sought advice, someone got back to us quickly with helpful guidance. Finally, as I mentioned earlier, I am a believer. 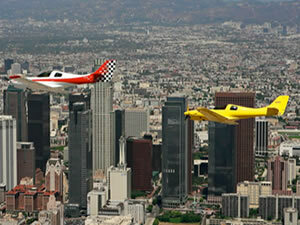 Hi Mike - Here is a picture of me and a friend over downtown LA. 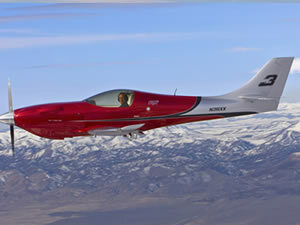 My airplane is the red and white one. The yellow one is owned by David LaFaille. Both are running Electroair ignitions. Thank you for making such a great product. Installation was simple and straightforward. The quality of the connectors and wiring harnesses was impressive. On my first flight with this ignition the airplane was noticeably smoother. It must be that long duration spark smoothing out the power stroke. CHT temps were also noticeably cooler. Love this ignition and it will now be the ignition of choice for all my Lancair builds. 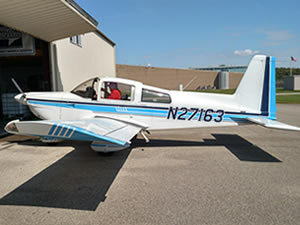 EAA Oshkosh Grand Champion 2008"
Mike - The ignition system will now allow me to run lean of peak as much as 60 degrees Celsius, but I usually run 10-20 degrees lean of peak Celsius depending on the cruise altitude. What I have really noticed is that there was always a little roughness lean of peak and now, with the ElectroAir ignition, that roughness is totally gone. I have done several speed tests and I have gained five knots at cruise altitude and I am sure that the fuel savings is there also, but I actually have not traveled enough since the installation to report the exact number. 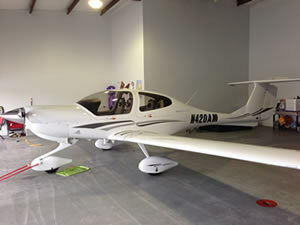 The system was installed by Flying Leaf Aviation in Asheboro,NC. Lou and Bob did such a thorough and neat job on this install,I highly recommend this shop. I want to thank you for all your assistance with the Electronic Ignition from Electroair. N191RJ passed it's conditional last week. Now with dual EI, the O-200 is running smoother and stronger than ever before. I discovered your youtube videos and that was a big help. Please put out more of them! I will be sending out a vendor report to the Canard group and will mention you specifically for all the great customer service and help. "I've managed to run happily at 10 gal/h at 2200/22 inches and still getting the same performance than at 12 gal/h. 140 knots at 10 gal/h with a 116 gal of fuel equates to 1600 Nm to dry tanks. This will improve at altitude as I'm turbonormalised. Pretty impressive for a 1970 aircraft." 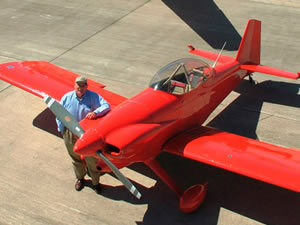 Bob R with a Grumman Tiger has much to say about how his airplane performs with the Electroair system installed. Read his report to get the details. 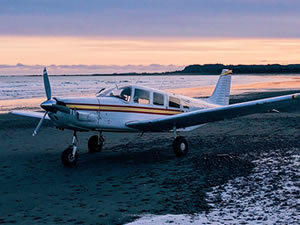 "We have systems installed on the Cessna 172s at the Yokota Air Force base in Japan. 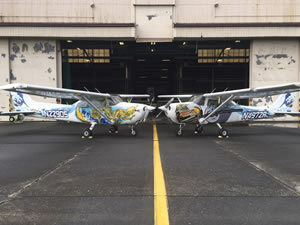 The 172s are part of the 374FSS/Aero Club at Yokota. From the person in charge, 'Over past month and the shifting of the weather (lower density altitudes) the aircraft have been performing flawlessly.' Keep 'em flying. And Thank You to our Airmen serving at Yokota AFB." We just want to share our experience installing an ElectroAir electronic ignition system on our Glasair Sportsman with the Lycoming IO-390. Starting the engine when hot has always been a problem. We tried every combination of boost pump, throttle, and mixture. Eighty percent of the time it would finally catch and start, but there were many times when the battery would run down and we were stuck away from home, which really eroded our confidence in our ability to take longer trips. After considerable frustration and searching for a viable solution, we decided to give an electron ignition system a try, having heard that they greatly assist with hot starts and also improve fuel consumption in cruise. After significant research we finally decided on the ElectroAir system due to its extremely high power output from the coil pack. Having never done this before we took our time with the installation. We completed the project in two days and it was a very straight-forward install. The installation guide is great, very easy to follow and informative. When we had a question Mike Kobylik and Denny of ElectroAir and Darrell Pool of smooth power were all extremely helpful and responsive. We could not have asked for more support. We've now flown approximately 10 hours on the aircraft since completing the upgrade installation. Our hot and cold starts are both extremely quick and reliable, and we've noted approximately 1 gph in fuel savings at 75% cruise (24" MP and 2400 rpm) compared to before (11 vs 12 gph). We'll continue to test and note our results, but are extremely happy thus far. Additionally, the installation is extremely clean and fits well in the Sportsman. Adding two circuit breakers and the optional (but extremely sleek) ignition switch assembly was easy and looks OEM (see picture). We want to make sure that any other sportsman customers know that there is a potential fix to this issue, and also put you and the folks at ElectroAir in touch to see about possible future engagements. The ElectroAir makes me more handsome and gives me the stamina of a 20 year-old. What else do you need to know? My Cheetah got the hi-compression upgrade a month or so before getting the ElectroAir, which made it easy to tease out how much of the performance improvement the EA can claim. From day one it's made starting a two- or three-blade non-event. I especially *feel* the difference on takeoff: I accellerate faster and climb at a steeper angle, which opens up flying into airports with short or uphill runways and making intersection takeoffs feasible on long ones. In any case, it blows the current POH numbers away. Warning: it's possible to be over confident about this improvement, so get benchmark TO distance numbers ASAP. In cruise, it leans more sharply than before; that means leaning becomes slightly more of an event than a process--even though I have a vernier mixture control. For example, I fly cross-country at 9-10K often, and it leans smoothly, then it roughens abruptly. This is a feature not a bug, but it helps that I have a JPI so I know exactly where you are. 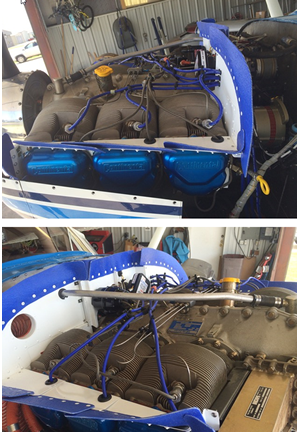 Just a review and feedback on the EIS system installed on my Saratoga with a Lycoming IO-540-K1G5. System has been installed for over two years and with about 250 hours since install on overhauled engine. Over the pass six months I have been number crunching and paying more attention to my fuel burn. I plan for 17GPH. But have actually been getting around 15GPH. The fuel savings is nice, but I really haven't paid much attention to it till recently. One thing that I have loved since installing the system is how smooth the engine runs from idle to full power and the ease of starting even flooded. Also how clean the spark plugs have been every annual or 100HR. As a mechanic it's a big deal. I recently started a single pilot 135 operation (see website below) and will be flying my Saratoga a lot more and I am curious to see how the reliable the system will be. Not to worried as I have not had a single problem since install. Please see attached pics. If any feedback from pics please let me know. Thank you!" 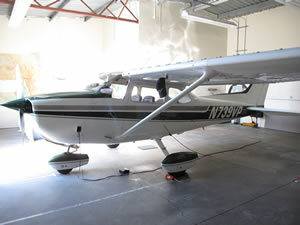 Aircraft information: 1966 Cessna 180H, Engine O-470R with 655 SMOH, engine monitor EDM-900, most flights at gross weight of 2800 lbs. For my summer vacation I wanted to check off one of my bucket list items and fly my C-180H from Wilmington, Delaware to the left coast. 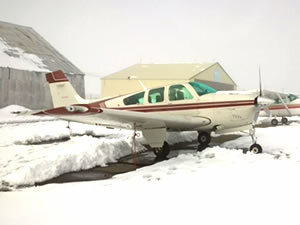 The plan was to fly to Custer County (CUT), SD then Spokane and continue to Bremerton, Washington with several local flights in that area including S16 (Copalis State Airport) and Friday Harbor and return via Missoula, Kalispell, Miles City, Mankato and home. We flew approximately 5700 miles and a total of 50 hours. Trying to avoid headwinds on westward flight our altitude was basically at 6500' until the CUT area. The performance west bound was basically "Book" numbers, possibly -.5 GPH and +5 MPH. This was an estimate without making a giant spreadsheet. One of the things that did impress me was the takeoff from CUT elevation 5602' and a temp of 61 degrees, density altitude of 6500' and 200# under gross takeoff weight - the takeoff roll of 1000'! On our eastward flights the altitudes were mostly in the 9500' range, the fuel burns were basically 1 GPH less and still 5 MPH more than book figures. Surprisingly, the engine ran smoothly the entire trip and did not give us any issues at all, and after returning home I did some routine maintenance (oil change and plug check). The oil and filter had less deposits than prior to the installation of the Electroair system and the plugs were free of lead deposits and could be cleaned with a soft tooth brush. Overall, I was very pleased with the performance of the Electroair system. My first flight to evaluate the effect of the new system was very promising. I run Lean of Peak (LOP) for all X-country flights anytime I am above 5K ft. Today's test was run at a DA of 10K, since I have numerous flight history at that altitude. It appears that if maintain my previous cruise speed of 165-166 kts, my fuel flow is decreased from 11.9 to 10.9 GPH running 10deg. LOP. There is no doubt the engine runs smoother for LOP operations. I was able to run as much as 50 deg. LOP without any roughness. One additional bonus is the ease of hot starts. I am looking forward to more comparison testing. I should have made this change sooner. I will send you additional data as I accumulate more time. Thanks for the great support! Tight installation on coil Pac. "Brains" located in nacelle locker behind fabricated door. Easy hot starts and some fuel small savings! Darrell Really nice installation! Thanks for the note Darrell. Glad to chat and share again at this year's Sun n Fun. 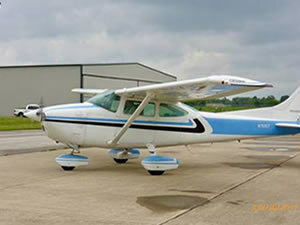 Last year I inquired about your system for my ’55 Cessna 180. 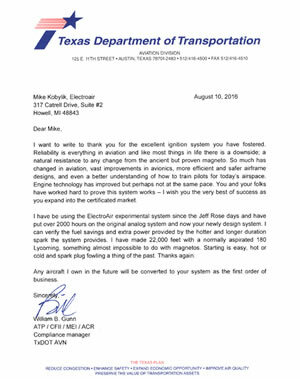 I'm running a Texas Skyways O-520 F/TS and wanted to increase reliability and performance. 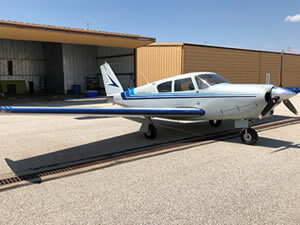 At the end of May last year Shannon Hankins at Redman Aviation in Tulsa, Ok installed your Electroair system on 71B, and boy ol boy is all I can say! The moment I took her up for a test flight at the Robert Jones Airport was I impressed! My right seater a retired AA mechanic and now IA who was signing off the upgrade was shocked when just after runup I jumped off the runway! We screamed up to 5000' over the airfield for a quick performance review. Even with reduced throttle settings performance numbers were no comparison to previous numbers. Now lets be clear here, the most definitive value I can give you is at altitude. When I'm getting a nose bleed altitudes for a 180, cruising at 9,500 or 10,500 and lean her back I can achieve 12.5 gallons an hour at 50 degrees off of peak and have a smooth running engine. I don't think many running a big 520 can claim that. I’m runnning a bit hotter at the lower altitudes due to the more efficient burn and generally run at 14 gallons an hour, and with big 26" Bushwheels push maybe 128 - 132 knots. Temps now are at about 385 vs 365, as an overall average. I want to show you guys the clean install Shannon did, and your glad to use them for whatever purposes you need. You have a great product! With another Condition lnspection and upgrade completed, I just wanted to express my thanks for your efforts in keeping my airplane up to date and safe. Your latest effort, installing the Electroair Electronic Ignition System, has really hit the mark. After picking up my plane, I was very pleased with the first impression of how easily it started. She just ticked over and fired off. Secondly, the smooth idle with aggressive leaning is great, the plugs are going to stay clean. The ground mag check gives the first indication of the improved ignition cycle. With new plugs in all cylinders there was no drop on the Electroair side and the usual 70 or so on the standard mag side. I had two legs for my return trip home, so I had plenty of time to play with the leaning and power settings. At 9500'MSL, 155KTAS, 2450 RPM, & 21" MP my fuel flow was 1.5 gal/hr. less than I had on the way down to GA04. I will be taking some extended trips later this spring and summer and will get back to you on my experience with the Electroair Electronic lgnition. Again, thanks for your help and look forward to next year. 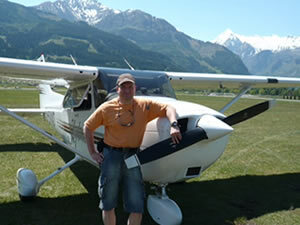 We received a nice note from Mr Schroter in Germany with his Cessna 172. He's reporting a 14% reduction in fuel consumption and better performance. Here's his note: "Today we made our first flight in our C-172 180 HP IO 360 equipped with the EIS-41000 Lycoming 4cyl Electronic Ignition. From: EDMV to LOIJ Before installation we needed 35 Liters Avgas/hour at 2400 RPM; now, with the electronic ignition we need 30 Liters Avgas/hour at 2400 RPM: The Lycoming-Engine runs much smoother! About 10% less ground roll for take off and 10 % better climb rate in my opinion. Your company made a very good job!" Another successful Bonanza installation. 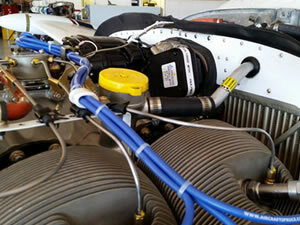 Tri-Valley Aviation in Livermore, CA (one of our Install Centers), installed a kit on their company airplane. They are reporting five to seven (5-7) knots faster. They are also reporting a fuel savings of 1.5gph at 50-75 LOP down low AND 1-1.5gph fuel savings at altitude, running at peak EGT (8,000ft and above). Check out the Facebook page for install pictures or drop us a note and we'll forward them along. I want to write to thank you for the excellent ignition system you have fostered. Reliability is everything in aviation and like most things in life there is a downside; a natural resistance to any change from the ancient but proven magneto. So much has changed in aviation, vast improvements in avionics, more efficient and safer airframe designs, and even a better understanding of how to train pilots for today's airspace. Engine technology has improved but perhaps not at the same pace. You and your folks have worked hard to prove this system works - I wish you the very best of success as you expand into the certificated market. I have be using the ElectroAir experimental system since the Jeff Rose days and have put over 2000 hours on the original analog system and now your newly design system. I can verify the fuel savings and extra power provided by the hotter and longer duration spark the system provides. 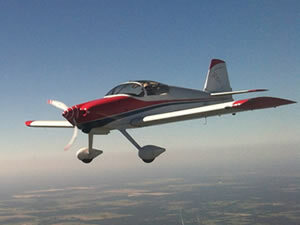 I have made 22,000 feet with a normally aspirated 180 Lycoming, something almost impossible to do with magnetos. Starting is easy, hot or cold and spark plug fowling a thing of the past. Thanks again. 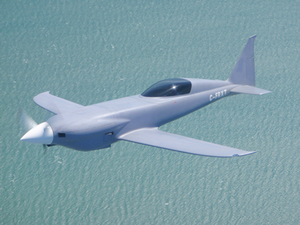 Any aircraft I own in the future will be converted to your system as the first order of business. 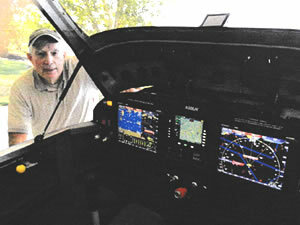 Bill has said that he didn't buy the Bonanza to go slow. 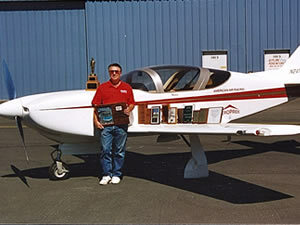 Needless to say, Bill is quite happy with his aircraft's performance after the Electroair system was installed. 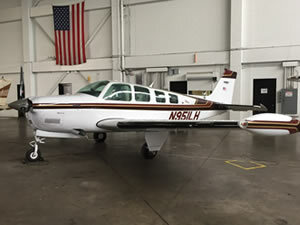 Bill's aircraft is seen here in for some routine maintenance at one of Electroair's Installation Centers - Carson Aviation Services in Carson City, NV. Thank you Bill for the information and feedback. 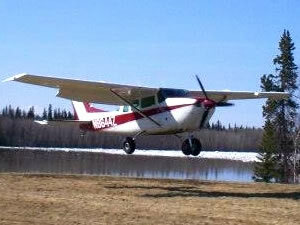 I wanted to write and let you both know how impressed I am with the improvements in our '67 Cessna 206. We added the EIS-61000 at the last annual inspection in the Spring of 2014. Hot starts are a thing of the past! I never thought that an IO-520 would start this easy and run this smooth. 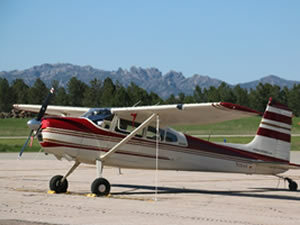 The difference is noticeable in all phases of engine operation but are most notable on the ground and at high altitudes. The quick and smooth acceleration on take-off is a thing of beauty. I operate out of marginal bush strips, most with no options for go-around or aborted take-offs. My climb rate has improved and my ground roll has certainly decreased. I must say, I have a lot more confidence in the engine performance. Perhaps the biggest advantage I have realized has been in the fuel consumption. Many of my trips required stopping in remote villages, not always along my route, to purchase $10-$15/gal fuel. Now I am able to make most of those trips flying direct because of the 1.5-2.5 GPH (depending on power settings and altitude) fuel savings. On other flights I am able to carry less fuel and more payload due to the reduced fuel burn. 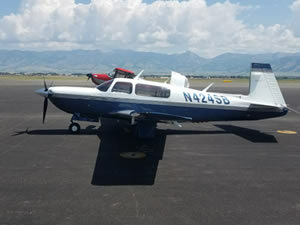 I have an ECI IO-375 in my RV-7A. I used to run two slick mags, now I have an impulse slick in the left hole running the upper plugs, and your system in the right hole running automotive plugs in the bottom. I am quite happy with your system after flying it 1.5 hours. The engine might run a bit smoother, ( it was already in good tune) and I picked up 10 mph at my economy cruise setting of 7.0 gph LOP. He has a regular trip from Cincinnati to Destin, FL (approx 4.5 hours). Normally, he would see 145knots TAS and burn 12.5gph (8-9,000ft); now, on a recent trip, he was seeing 150knot TAS and was burning 11.1gph (11,000ft). Andy is also reporting that Hot Starts are much easier (uses the same procedure now as a cold, or normal start). And he is seeing 1gph less when he is at idle. Thanks for the report Andy! 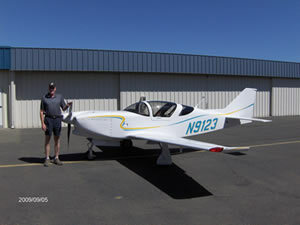 Mike Kobylik at Electroair Ignition Systems was extremely helpful in resolving my issues with a rough running engine on my experimental Seawind airplane (IO-540). I had several phone conversations with Mike concerning the roughness and large rpm drop with the ignition check. Mike's tenacity in delving in to the issue was impressive. He is courteous, professional, and willing to pull out all the steps to get the problem resolved. Many thanks to you, Mike. Here are some recent shots of my 68 185 out on some Alaskan adventures. I just put the EIS-61000 Electronic Ignition System on it and was very pleasantly surprised at the results. I already run economy settings (2100 RPM) typically as well as aggressively leaned at wide open throttle (An extremely efficient way to run if your set up for it) so I didn't honestly expect to achieve the full claimed efficiency gains from the Electroair system. However the engine not only feels a little stronger but I'm showing a 1-2 gals/hr less fuel burn on my digital fuel flow system at the same settings. My range is nearly 1000 miles now at over 120 knots ground speed on the 29" tires. In a word: Sweet!! I finally have enough data to really stake my position about your company's electronic ignition system. Let me be clear, it's terrific and I'm thrilled with it. Here's the whole story. For years I have wanted an improved ignition system for my airplane. 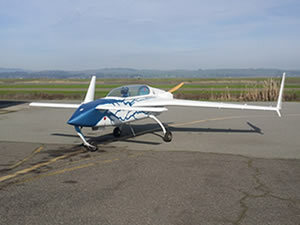 The Lasar Ignition from Unison was the only option for certified aircraft but it was very expensive, orphaned by Unison, and the technology it used was not optimal. 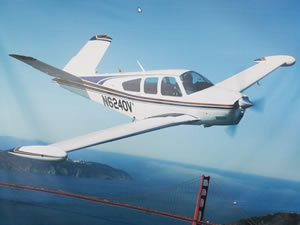 I watched with envy as technology moved forward in the homebuilt community - but those of us with certified aircraft were left behind. 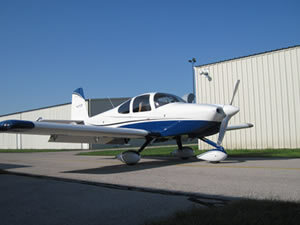 But in the spring of 2012 I read that ElectroAir Ignition Systems of Michigan had a system STCed for certified aircraft. 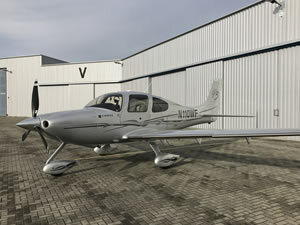 But there was another problem - they were only approved for single engine aircraft - not the twin I wanted to install it on. I was hoping it was only a matter of time. I spoke with Mike of ElectroAir and he said they had a twin lined up for certification and were planning to get twins added to the STC shortly. Murphy had something to say about this. That fall Mike and I decided to use my Twin Comanche as the certification test bed. 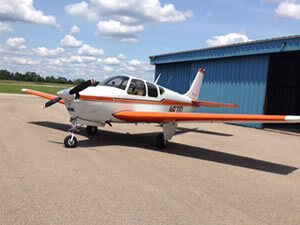 I delivered the plane to Port Huron, MI for the installation. 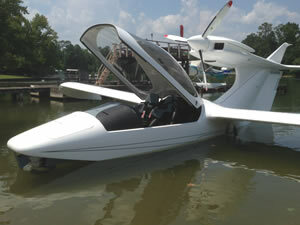 Two weeks later I came back and did the engineering and certification test flights. Everything went perfectly and I flew home with an approved Electronic Ignition System installed. I was thrilled. But everyone wants to know - does it make a difference? An EIS produces benefits as a result of three items: altering the timing and duration of the spark and producing a hotter spark. The timing benefits become more substantial with higher altitude and lower power settings because the timing gets advanced more and more as your power setting is reduced. The longer duration and hotter spark are in effect at all times. I am a data junkie and my plane is well equipped with engine instrumentation: JPI EGT, CHT, digital fuel flow, and an Aspen PFD that displays true airspeed. Furthermore, I fly the plane very consistently. I always set power exactly per the POH and adjust for non-standard temperature and pressure. For years I knew that if I set 65% precisely, I would get 146 KIAS. At 9,000 feet that produced 167 knots true airspeed. This was replicated on countless flights and was a predictable as a clock. With the ElectroAir, my 65% power cruise speed has increased from 167 KTAS to 171 KTAS. At the same time, my fuel burn has decreased from 15.2 GPH to 14.2 GPH. At my old speed of 167 KTAS, my fuel flow is 13.2 GPH - a reduction of 2 GPH (13.1%) in fuel flow. That's a savings of $12.88 per hour. Furthermore, it is exactly in line with my expectations when installing the system. I prefer to take some of the efficiency gains, give some of that fuel back to the engine, and produce more power and go faster. But the full savings is there if I want it. I have yet to try 55% power at 11,000 MSL but the savings should be even better at that altitude and power setting. Since installation I have operated the aircraft 132 hours with virtually no hiccups. 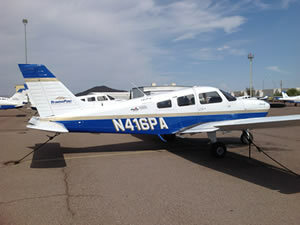 If money talks, I have started converting the 12 aircraft in my flight school to the ElectroAir EIS. It was a pleasure to meet you and other Electroair representatives at the Reno Air Races this year. And congratulations for achieving FAA acceptance of additional Electroair products! As we discussed at the time, my dual modified Jeff Rose Electromotive system should be updated with appropriate new Electroair components. I would like to proceed with this and will place an order through your normal process. 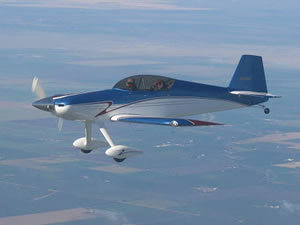 The photo is my Glasair II-S RG. Thanks for your time, we love our electronic ignition. We currently hold both east and westbound transcontinental flight speed records taking out Howard Hughes speed record. You can also find a few videos online you tube if you search mike and mark Patey. The video with "it's alive" in the title was of our first key on attempt of starting the 780 when we finished it with your ignition. Best first start on a new motor I have ever had..
Great ign system in my Rocket II . 350 HRS to date. Great factory support, really notice it in higher altitudes. Here's a recent adventure with my friend Ernst and his RV-10. 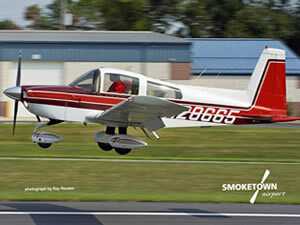 Hi Mike the aircraft has an 8 cylinder Twin turbocharged IO720 Lycoming engine with your dual electronic ignitions. I haven't established any accurate performance data, but I have had it to 349KIAS at 2300 feet, at 40" manifold pressure. I was checking for vibration and or flutter as I have balanced my elevators differently than the design asked for and my vertical stabilizer is taller than the original by about 10 inches. It stalls at 70KIAS at 4000 ft and breaks straight head if you keep the rudder centered. At 24" and 2400 rpm it cruises around 245 knots at 3000-4000ft. Higher up(8000ft) and with some power it will better 290 knots quite easily but the fuel burn is also up there in there about 27 to 28 gph! The ignitions have worked very well! Hi guys, just to give an update. Almost a year ago, I've installed the Electroair ignition in my 1966 Beech Musketeer with the IO-360 Lycoming. Like the sales literature says, it runs smoother. I've noticed 1GPH less fuel burn at my normal 2450rpm cruise. I have no fuel flow gauge, so I can't give exact numbers. This plane has the fixed pitch prop, and with this ignition, I've noticed more power at higher altitude airports. I've installed this system on a customer's Mooney, and he has had similar results. The Electroair Igniton is the absolute best electronic ignition for any aircraft, anywhere, anytime!" I put one in my RV4 in 1998 and put 1300 hours on it and it's still running strong with the new owner. 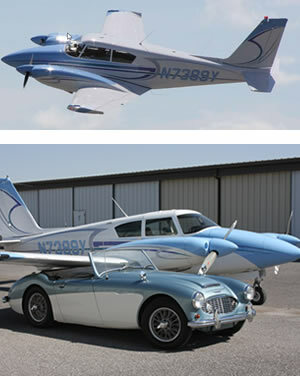 My current aircraft is a Harmon Rocket 2 pictured here alongside my friend Mark Culpeppers HR2. My Rocket has an electroair ignition and a Lycon modified IO-540A4B5 putting out close to 300HP at 2700 RPM. The performance is almost as much fun as the F16! Thanks for another great system! Just wanted to say thanks for great product that you and your staff back 100%. Special thanks to Josh for our custom installation, knows his stuff! Performance!!!! Just came back from Branson, MO at 7500ft at 154true burning 9.7GPH with EGTS of 392.....that's good 1gph less and going 5kt's faster..WOW. What really fun when your just flying around for fun pulling it back to 135 to 142kts true at 8.2gpr.....not bad for certified aircraft with gross weight of 2650lbs. Once again thanks.....will add to my next aircraft for sure!!!!!! The pictures will come separately. I did an unexpected major on by o360 this winter when a timing gear came loose damaging the gears and the engine block. It went back together with new nickel cylinders, powerflow exhaust, and the Electroair ignition replacing my left mag/shower of sparks. I moved all of the spark plugs to the bottom for the electronic ignition and rely on this bank for startup of the battery with no problem thus far. I have also added a cowl enclosure with the rebuild but otherwise have a stock M20C. The results have been impressive. Climb has improved by about 300fpm. My cruise speed is improved most at altitude and I can keep groundspeed at 180mph well into the 12,000 foot range and still fly at 170mph to 15,000 ft. This exceeds prior performance by about 13mph on less fuel. I am able to lean out better and performance has the most improvement when my manifold pressure is at or below 20 at high altitudes or cruising low with partial throttle settings. I immediately realized my speed was higher on descent as the engine simply pulls harder with the spark advance that comes with partial power. As a result I am letting down with lower power settings and saving fuel. The end result in these three modifications is best seen on a common trip I make from KOTH; North Bend Oregon to KEUL; Caldwell Idaho. Previously I made this trip on 22 gallons of fuel flying in the 13,000 foot range. Now I am using 18 gallons and getting there about 10 minutes sooner under similar conditions. The other measure I have of performance is two similar trips I took at an altitude of 15,500 ft before and after the project. My time to run one 25 gallon tank empty before was 2.5 hours including climb. recently on a trip to Texas the tank was empty right at 3 hours; this at probably 10mph faster. I am quite pleased my IA talked me into Electroair ignition and attribute most of the performance improvement to the ignition. I'm writing to thank you and your staff again for your superb technical and persistent support. Customer support just doesn't get any better than the effort you made in helping and coaching me thru this recent, complex problem diagnosis. Some problems, even with exceptionally reliable electronic equipment do occasional pop-up. (In this case, a more mundane mechanical problem) And once-in-awhile one of those issues can be difficult to identify. Following logical troubleshooting, it's also logical to begin with the most probably and LEAST expensive fix. And only after exhausting the "low-lying-fruit," moving on to more complex and expensive causes. I sincerely appreciate your using that approach in my support. I am also quite impressed with the improvements that Electroair has made in Jeff's original design. The current system is substantially more robust, and given that I'm using dual systems, I especially like the total redundancy. 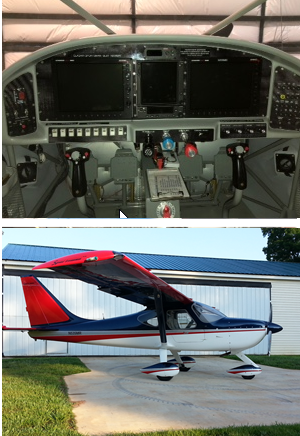 Attached are a couple pictures of my Glasair IIS-RG that is flying on dual Electroair Electronic Ignitions. I took the plane for a "spin" (not literally) today, just for the pure joy of flying her again with a most smooth running engine... on either ignition, or both! What a JOY! 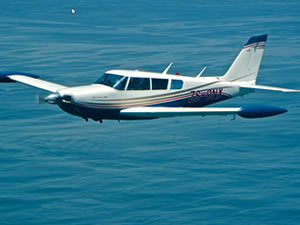 Took my Cessna 172N (with Lycoming O-360 A4M) for a high altitude test flight yesterday with newly installed EIS 41000. Got to 15,000 at about 300 pounds under gross. OAT was 45 deg. F. so density alt. was about 17,400. Not bad! engine ran smooth, head and exhaust temps. were definitely showing timing advance was working as advertised. Nice product. Thank you. The EIS is a great system. The installation was quite straightforward. 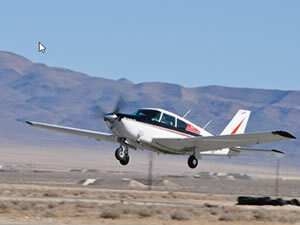 The airplane gets the same speed burning 12 vs 13.5 at 8-10,000, running is smoother and hot starts are easier.